Lius Felipe Triana Figueroa Dr.
El cuidado paliativo pediátrico (CPP) es una subespecialidad emergente de la pediatría que, desde sus inicios en la década de los 90, busca mejorar la calidad de vida de pacientes que padecen enfermedades que ponen en riesgo su vida, incluyendo, por supuesto, enfermedades terminales, pero no solo estas, puesto que la atención interdisciplinaria que ofrece el CPP también beneficia a pacientes con patologías para las cuales hay tratamientos posibles con fines curativos, pero cuya probabilidad de falla es muy alta. Su principal objetivo es brindar confort a los pacientes pediátricos, así como asistencia espiritual y física mediante el alivio farmacológico y no farmacológico de síntomas, el apoyo social y el acompañamiento a sus familias. Su inclusión en el manejo integral del niño no implica la exclusión de medidas terapéuticas con objetivo curativo, por el contrario, en la mayoría de los casos puede haber un trabajo conjunto entre el equipo tratante y el equipo paliativo. Muchos grupos alrededor del mundo se han dedicado a la investigación y el desarrollo de este campo, pero, a pesar de ello, en algunos lugares del mundo hay un significativo desconocimiento de la literatura actual sobre el tema, lo cual genera una serie de barreras que, junto con los prejuicios y mitos existentes en la sociedad en general, limitan el acceso al CPP. 1. American Academy of Pediatrics. Committee on Bioethics and Committee on Hospital Care. Palliative Care for Children. Pediatr 2000;106(2): 351-7. 2. Himelstein BP, et al. Pediatric Palliative Care. New Engl J Med 2004; 350(17): 1752-62. 3. Fraser J, et al. Advanced care planning in children with life-limiting conditions – the Wishes Document. Arch Dis Child 2010;95(2): 79-82. 4. Larcher V, et al. Making decisions to limit treatment in life-limiting and life-threatening conditions in children: a framework for practice. Arch Dis Child 2015; 100: s1-s23. 5. Knapp C, et al. Pediatric palliative care provision around the world: a systematic review. Pediatr Blood Cancer 2011;57(3): 361-8. 6. Delivoria-Papadopoulos M, Levinson H, Swyer PR. Intermittent positive pressure respiration as a treatment in severe respiratory distress syndrome. Arch Dis Child. 1965;40:474-9. 7. Feudtner C, Nathanson PG. Pediatric Palliative Care and Pediatric Medical Ethics: Opportunities and Challenges. 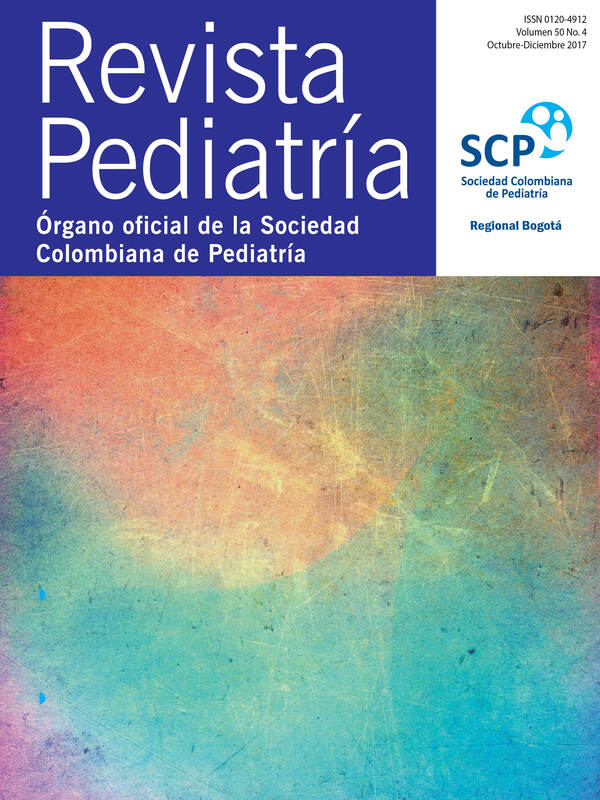 Pediatr 2014;133: S1-S7. 8. Angell M. Handicapped Children: Baby Doe and Uncle Sam. New Engl J Med 1983;309(11): 659-61. 9. Wolfe J, et al. Symptoms and Suffering at the End of Life in Children with Cancer. New Engl J Med 2000;342(5): 326-33. 10. Bertaud S, et al. The importance of early involvement of paediatric palliative care for patients with severe congenital heart disease. Arch Dis Child 2016;101(10): 984-7. 11. Salas Arrambide M, et al. [Pediatric palliative care: a comprehensive model of care for children with life-threatening conditions and their families]. An Pediatr 2004;61(4): 330-5. 12. Feudtner C, et al. Pediatric Palliative Care Patients: A Prospective Multicenter Cohort Study. Pediatr 2011;127(6): 1094-1101. 13. García X, Chavarro C, Sarmiento M. Una mirada general a los cuidados paliativos en niños. PRECOP 2016;16: 6-18. 14. Bradford N, et al. Components and principles of a pediatric palliative care consultation: results of a Delphi study. J Palliat Med 2014;17(11): 1206-13. 15. Gade G, et al. Impact of an inpatient palliative care team: a randomized control trial. J Palliat Med 2008;11(2): 180-90. 16. Davies B, et al. Barriers to palliative care for children: perceptions of pediatric health care providers. Pediatr 2008;121(2): 282-8. 17. Mack JW, Wolfe J. Early integration of pediatric palliative care: for some children, palliative care starts at diagnosis. Curr Opin Pediatr 2006;18(1): 10-4. 18. Wolfe J, et al. Understanding of prognosis among parents of children who died of cancer: Impact on treatment goals and integration of palliative care. JAMA 2000;284(19): 2469-75. 19. Mack JW, et al. Communication About Prognosis Between Parents and Physicians of Children With Cancer: Parent Preferences and the Impact of Prognostic Information. J Clin Oncol 2006;24(33): 5265-70. 20. Weeks JC, et al. Relationship between cancer patients' predictions of prognosis and their treatment preferences JAMA 1998;279(21): 1709-14. 21. Phelps AC, et al. Addressing Spirituality Within the Care of Patients at the End of Life: Perspectives of Patients With Advanced Cancer, Oncologists, and Oncology Nurses. J Clin Oncol 2012;30(20): 2538-44. 22. Steele R, et al. Charting the territory: symptoms and functional assessment in children with progressive, non-curable conditions. Arch Dis Child 2014;99(8): 754-62. Palermo TM, Harrison D, Koh JL. Effect of disease-related pain on the health-related quality of life of children and adolescents with cystic fibrosis. Clin J Pain 2006;22(6): 532-7. 25. Santucci G, Mack JW. Common gastrointestinal symptoms in pediatric palliative care: nausea, vomiting, constipation, anorexia, cachexia. Pediatr Clin North Am 2007;54(5): 673-89. 26. Brown E, Henderson A, McDonagh A. Exploring the causes, assessment and management of constipation in palliative care. Int J Palliat Nurs 2009;15(2): 58-64. 27. Hechler T, et al. Parents' perspective on symptoms, quality of life, characteristics of death and end-of-life decisions for children dying from cancer. Klin Padiatr 2008;220(3): 166-74. 28. Collins JJ, Fitzgerald DA, Palliative care and paediatric respiratory medicine. Paediatr Respir Rev 2006;7(4): 281-7.